Good morning ... was reading The Edge, as usual on Sunday morning ... while having breakfast. Then ... I saw this few abbreviations (FA) which I feel newbies need to learn. So, I posted to my group-chatbox to share with them and for this week, will like to share with them the terms. 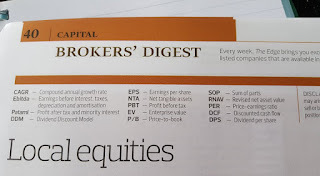 The most common one should be PER : The price/earning ratio ... the lower, the better of coz. When we compare the PER, do take account into their SECTORS. For example : many properties-counters are trading at single digit PER while those tech-counters that I m trading currently demanding more than 20-30 level ... some even above 50 PER. Also ... the leaders in the sector demanding higher PER, obviously. So ... look for those laggard in the sectors, which earnings still improving while the stock price has not shoot for the sky. Just go to your trading platform ... and zoom into sectoral-analysis : click PER for all the stocks in the sector!! Going to show my members how to do that ... so that all would be able to understand how to check PER and how we should NOT take the PER on face-value. 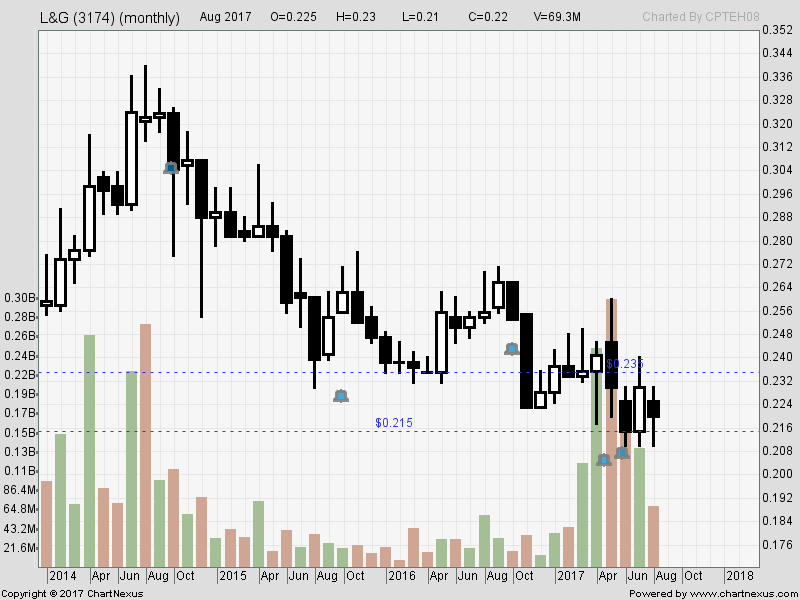 My Maybank's platform showing L&G's PER is currently at PER 11.96. L&G : Low at 21cents ... PER's at 12. So ... can we buy into L&G? Land and General ... a very old company, indeed. PER for UEMS and Ecoworld at 35 level. Personally, I will not buy into property-stocks ... mostly sideway or downtrending. One of the remaining uptrend property counter I could see is UOADev (hold) ... besides some REITS. Recently, TAGB activated ... with news around IWCity, Ekovest and Malton leaving the main-stream news. As I m not not monitoring property-stocks ... I m not aware of many cooperate exercise, such as right-issues in L&G. 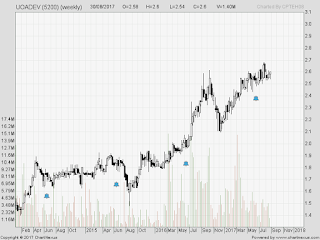 Even listing of Ecoworld-International ... I didnt follow much. My focus is still at TECH (since Dec 2016), which many trading at high PER. 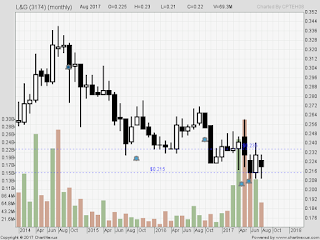 Penta : I started trading her when it was at 90cents breakout ... today, it is trading around RM5 and with PER around 25. While I still like Penta, I would prefer VS ... or Unisem. Ok ... learn the most common term : PER. It is not as easy as just a numerical value. While generally it is true to buy into lower PER stocks, it is not the right way of valuating a stock!! Have a nice trading week ... as I m preparing for Sept (a spooky month) ahead. Price earning ratio is an important financial ratio which must be evaluated while analyzing fundamental factors of a company. Such information helps to know about company's performance in a better way. Many traders use best intraday tips as recommended by experts to trade safely in market.